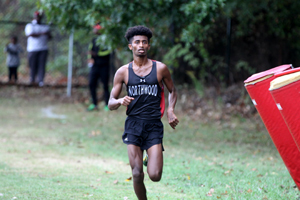 Northwood's Obsaa Feda broke the Consortia Championship high school course record and led Northwood to its first ever Consortia XC team title. 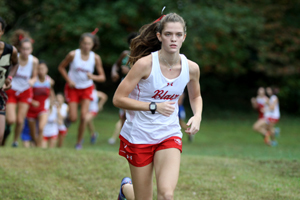 Morgan Casey of Montgomery Blair High School won the girls race and led the Blair girls to their seventh team title in nine years. After he crossed the finish line in 16:16, Feda said that he did not break the course record. He believed that the true course record belonged to Andrew Brodeur, Blake High School's head cross country coach. Brodeur finished the 2015 community race in 15:47.5 while he was in his early twenties. "I mean, right now I know I'm not fast enough to break the record. I know I'm not fast enough to break it yet, but I'm trying to go for that record next year." By winning as a sophomore and junior, Feda opened the possibility to become the first runner to win the Consortia Championship three times in a row next year. For now, he can settle to know that he is a two-time champion and the fastest high school athlete ever on Northwood's course. The race unfolded somewhat slowly, but Feda took off at about the one-mile mark and ran the remainder of the race alone. "I kept the pace slow for the first lap," said Feda. "After we passed the little hill [at about the 1-mile mark], I just picked up the pace slow-by-slow. I noticed the Einstein guy. He was trying to come with me, but then my coach told me to push the pace." Northwood relied on Feda to get a low score, but the team win was a complete top-to-bottom effort in arguably the most competitive Consortia boys field ever. 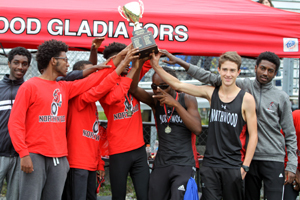 "We talked about this meet all season," said Northwood coach Giovanni Reumante, "and we knew Einstein was the team to beat, but these guys, they put in the work and they know that's when championships are won: over the summer." In addition to hammering out miles in the summer, Reumante urged his fourth and fifth guys to race more aggressively in the beginning of the race. 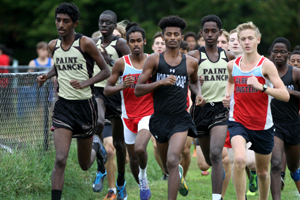 He credited Eldon Phillips (one of MoCo's premier sprinters) and Walte Neguse (a cross country newbie) with executing the strategy perfectly. "It was our four and five guys. Throughout the early season meets, they weren't going out, and I told them, 'You've been training for months so just test yourself. Put yourself in the top fifteen, top ten and just see what you can do.' And it worked out. It worked out." Northwood's 4:33 miler, Eldad Mulugeta, has missed most of the season with an injury and again sat out the Consortia Championship, but Reumante expect Mulugeta to be fit enough to contribute to the team's top-5 whenever he is healthy enough to go. He was unsure if Mulugeta would be back by the county championship next week, but Northwood hopes to use him for regionals and states. Northwood scored 53 points and just narrowly defeated Einstein (57 points), Paint Branch (66 points) and Blair (70 points). It was the smallest point spread (17 points) between the top four teams in meet history. 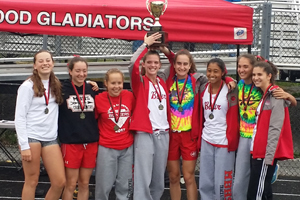 The Blair girls squeezed five girls in the top ten and ten girls in the top 16 to score 30 points and secure its seventh Consortia title in the first nine year of the meet. It was also Blair's third consecutive Consortia XC title. Blair's Morgan Casey used her experience on the course to hold herself back and run a smart tactical race. Said Casey, "After last year, where I went out with Yasmine and ran my mile PR in the first mile of this race, I was like, 'Hey, don't do that this year.' So I just trailed her for pretty much the entire race up until we got up the really, really big hill [approximately 2.25 miles], and when we started going through those rolling hills I just slowly, slowly caught up to her." The final half mile of the race was completely in the view of spectators and it could not have been more nail-biting. Casey and Kass matched strides around the grass playing fields. Kass had one stride over Casey as they entered the track for the final 200-meter sprint. "I was like, "Look, you're neck-and-neck now, but that doesn't mean ANYTHING...if you want to win, you really gotta want to win.' Once we got on the track she started to pull away a little bit, and I was like, 'Morgan, if you want this, you gotta go now and you gotta go hard and not look back.'" Last year's 4A 800-meter state champion, Casey was able to summon the best kick and defeat her familiar rival by a fraction of a second, 20:01.1 to 20:01.6. She was particularly proud that she was able to overcome a pre-season ankle injury that bothered her for most of the season. Most importantly, she viewed the Consortia victory as a confidence-booster entering championship season. 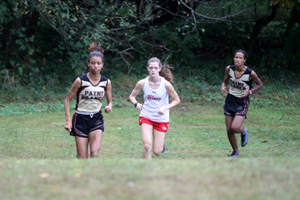 Blair High School moved to the 4A North region where Casey expects to see Yasmine Kass in her next three races: counties, regions, and states.